A total of 151,500 customers opted for a car from the sports car manufacturer in Stuttgart. Porsche thus increased its deliveries from January to October 2014 by 14 percent compared to the same period last year. "We have expanded our attractive sports car portfolio with extra sporty models such as the 911 Carrera GTS and the Cayenne GTS," said Bernhard Maier, Member of the Executive Board Sales and Marketing of Dr. Ing. h.c. F. Porsche AG. 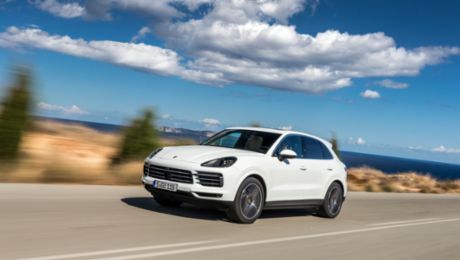 "The combination of traditional Porsche genes and pioneering technology with our models Cayenne and Panamera also meets with considerable approval from our customers." In Europe the sports car manufacturer delivered a total of 49,300 cars from January to October 2014 – a rise of 17 percent compared to the same period last year. 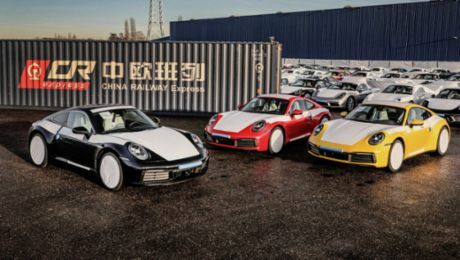 In China Porsche lies significantly above the corresponding period last year with an increase in sales of 19 percent at 36,000 cars. The Panamera model series contributed to this rising trend with sales figures topping 20,000 units. Customers are deciding more frequently in favour of the eco-friendly variant, the Panamera S E-Hybrid.